Chelsea Design 3 cremation keyring is a clever and discreet way to keep a token amount of ashes or other small keepsake with you. 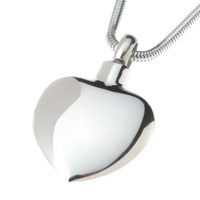 Cremation urn or keepsake keyring that can be filled with small portions of ashes. 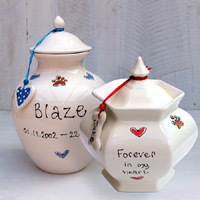 The perfect way to keep the ashes of a loved one close to you always, in the small urn barrel. 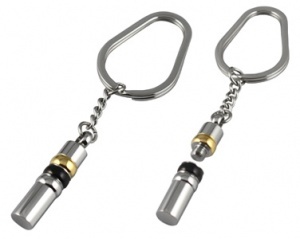 The keyring can also be used to keep other memorial items such as a lock of fur or hair or other small keepsake. Capacity: token amount of ashes or other small keepsake. Comes complete with a funnel to enable easy filling.